When we set out on this journey into video in the mortgage marketing industry, we expected to feature people winning with video in YouTube, Facebook, BombBomb, and perhaps Instagram. What we were pleased to discover is that several people are using all these channels and more. Video is key to their mortgage marketing efforts. What you’ll find in the All Around category are five people who excelled in multiple ways – so much so that we created this category to recognize them. If you’re just getting started with video, look for the one or two takeaways that you can incorporate today. If you’re off and running but are looking for a new idea or strategy, you’re certain to find it here. And even if you’re employing video consistently and with variety, you’re sure to learn something new that you can use to connect, communicate, and convert more effectively. 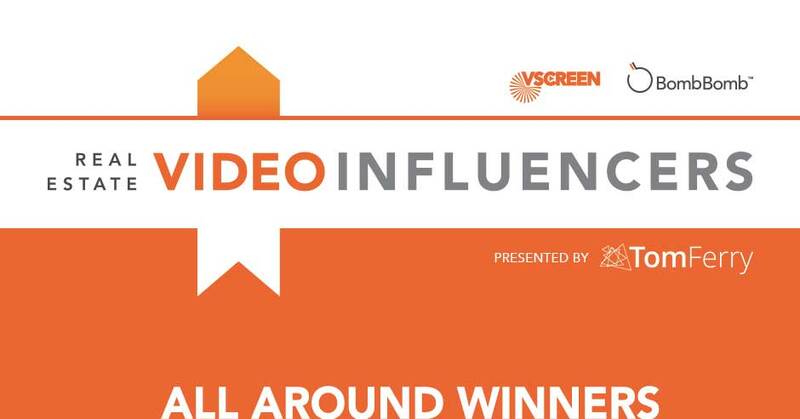 The All Around category celebrates people using video creatively and effectively in multiple platforms, and Alex rightfully leads this list. What makes his efforts shine is his use of each platform in a way that’s very specific to its purpose. He showcases updates and educational videos to Facebook, but also uses the Live feature. His content in Instagram is completely customized, and his YouTube channel is well organized and includes his longer videos for a better viewing experience. He’s sent hundreds of videos with BombBomb, even including simple one-to-one messages to follow up on opportunities. When he produces videos, the graphics are sharp and you’ll see throughout all his efforts, the pug works wonderfully for memorable, authentic, and personal branding. Download the guide to see Alex talk about his brand, “the mortgage pug,” and how it helps him remain authentic by showcasing his personality in his business. He also talks about how he uses video to help convey his sincerity and create stronger connections with his clients. Finally, Alex discusses how he uses Facebook, Instagram, YouTube, LinkedIn, and BombBomb and how he varies his content to fit the needs of each medium. Nearly all of Steve’s 1,000+ videos sent through BombBomb are simple mobile videos sent on a personal, one-to-one basis. He does a great job keeping people updated on each step of the loan process, and does so personally face-to-face through video. He’s got a couple hundred videos in his YouTube channel dating back five years (can you say solid history?) and often, they are anchored in story. Some of our favorites among those are his “why” video and a set of thoughtful and beautiful customer testimonial videos. Get the guide at the end of this post to hear tips from Steve about how and why he uses video in his business to communicate more effectively. Steve read a book called the “7 Levels of Communication” by Michael J. Maher and explains how it covered the importance of face-to-face communication, and what this communication does to help increase your influence. What’s the next best thing to face-to-face communication when you can’t be there in person? Simple video. Lori is a rock solid, consistent video user. One of her specialties is scripted and produced videos packed with education, and many of these videos often include interviews with local experts. They’re typically based on frequently asked questions, which is a best practice you should follow if you aren’t already. When she makes the effort to produce a video, she gets it out across Facebook, YouTube, BombBomb, and beyond. She just celebrated her fifth year BombBomb anniversary and is approaching 500 videos over that time period with more than half of them recorded on mobile. As a video influencer, Lori also guest stars on other like-minded professional’s channels, on both videos and podcasts. More than eight years into utilizing a video marketing strategy for his business , Jason just may have been the first mortgage professional to incorporate BombBomb into his business. And, as with other channels, his videos have evolved over that time. Lately, Jason’s been using screen recording to share long and detailed information with prospects, clients, and others while keeping himself in view to personalize it. On YouTube and Facebook, he’s evolved his #MortgageMinute into a vlog style “walk and talk” experience including updates and insights into the state of the market. Jason talked to us about his evolution of video over the last ten years and how he’s shifted from professional, scripted videos to more personal, one-to-one videos. He also talks to us about how he uses screen recording to discuss a fixed rate versus a variable rate or other in depth topics. Jason admits he is 99% virtual and rarely gets the opportunity to meet his clients; because of this, he uses video to build relationships and help his clients tackle this heavy information on their own time. Finally, Jason explains his “mortgage minute videos” and how they’ve helped him grow his business! Get the guide to watch the full clip. Great energy. High creativity. Playful editing. Ryan’s using all the available video channels to be the resource everyone goes to for fun and educational information. He recommends being yourself while being an educator. Ryan almost always uses his mobile phone – even for his green screen video shoots. Interestingly, he’s been on Instagram longer than YouTube, which is not typical for mortgage professionals. And he’s got videos on Facebook dating back more than three years. He’s also a big BombBomb advocate and user who uses both the Quick Send feature and mobile application a regular the way he communicates with people. Our Mortgage Video Influencers project celebrates success in four other categories: BombBomb, YouTube, Instagram and Facebook, and Honorable Mentions! Meet the industry leaders and see their examples!